With so much to do in the city, home parties can seem passe. Gone are the days when people celebrated their birthdays in their living rooms. From spending a day at an adventure park to having a party on a yacht, these days, people want a unique experience on their birthdays. In Mumbai, you have plenty of options available if you are looking for something to do on your big day. Whether it is with family or friends, celebrating a birthday in Mumbai can be a ton of fun. We gives you our top 12 things to do on birthday in Mumbai. One of the best ways to celebrate your birthday is by treating yourself. In Mumbai, you have plenty of shopping options. There retails stores, electronic shops, book shops, or art and supplies stores that stock amazing products. The best part about shopping in Mumbai is that you have access to goods at different price points. So, even if you are not looking to splurge, you can still get something that fits your budget. For a fantastic shopping experience with a large range of brands to choose from head to the Palladium Mall at Lower Parel. On your birthday, you can give yourself the best gift one could think of, that is the gift of relaxation. There are spas in Mumbai that offer discounts and have great packages on massages and treatments. Some spas offer birthday discounts too. So head out for some pampering and come back feeling refreshed and relaxed. We recommend the Four Fountains De-Stress Spa that is present in multiple locations including Bandra West, Powai, Andheri West and Malad. If you love learning new things, a good way to celebrate your birthday is to join a hobby or skill workshop. In Mumbai workshops on cooking, writing, painting, coffee brewing, bartending, soap making, origami and much more are often held. You can look for interesting workshops at locations such as Doolally Taproom in Andheri and Bandra West, The Hive in Bandra West and Cafe Zoe in Lower Parel. There are kids in Mumbai who do not have the chance to celebrate birthdays, festivals or parties. If you want to experience the joy of making hundreds of kids happy, celebrate your birthday by donating a meal at an orphanage like St. Catherine’s Home in Andheri West. You can arrange for food, cold drinks and games for them and witness their joy through the wonderful gesture. Going for a nice meal is norm for most people in Mumbai celebrating their birthdays. You have so many options, from buffets to a-la-carte meals to choose from, and cuisines including Chinese, Indian, America, European Continental, and more. We recommend the famous Global Fusion restaurant that serves up delicious Chinese, Japanese and Asian delicacies in their elaborate buffet. With branches in Marol, Versova and Bandra West, this restaurant is the perfect place to enjoy an amazing meal in a group. If you have the budget, a unique way to celebrate your birthday is by throwing a yacht party. There is nothing like enjoying a party in the middle of the sea, with breathtaking views and the cool sea breeze. 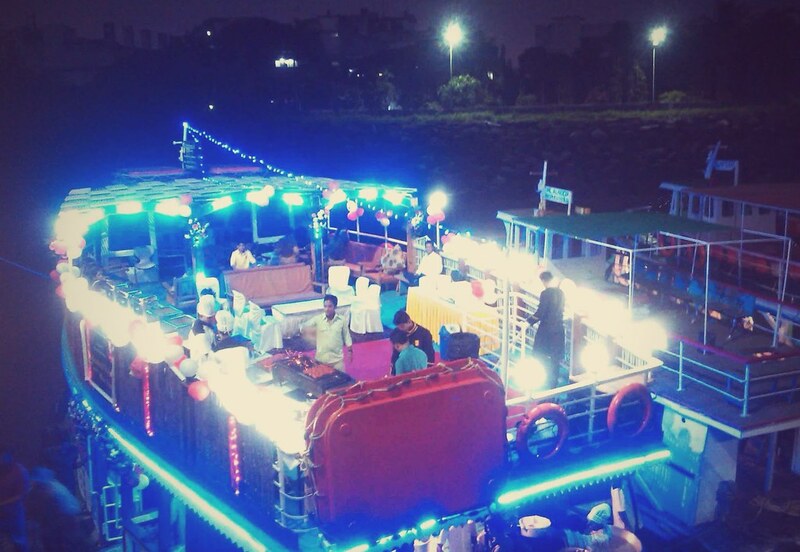 You can hire a yacht from the Gateway of India and prices start at Rs. 20,000 for three hours. There are various themes available, an in-house DJ and delicious food and awesome drinks to choose from. South Mumbai has some of the most iconic and happening bars and pubs in the city. From old-school favourites like Cafe Mondegar, Leopold Cafe and Universal Cafe to hip new joints like Bar Stock Exchange, Colaba Social and 145, you can party the night away with your pals, going from one place to the next. And If your buddies like to sing, why not take them out for a karaoke session and have tons of fun. If celebrating your birthday means fun and cheer try going bowling with your friends. Mumbai plays home to a few bowling alleys that are of international standards. The Amoeba bowling alley at Phoenix Marketcity Mall in Kurla and Smaash in Lower Parel are great options to spend a fun day with your friends. Once you are done enjoying all the fun, you can head out for a meal, some drinks or some shopping within the mall itself. There’s nothing like celebrating your birthday near the beach. In Mumbai, there are beach shacks available for hire at Gorai, Aksa, Manori and Madh Island. If you are looking for place that doubles up as a weekend getaway, try going to Alibaug as it isn’t too far away. If your birthday is on the weekend and you love the outdoors, then why not celebrate with a camp off. Around Mumbai there are a few places that rent out tents for the night. This will be a unique experience for you and your friends. Play some outdoor games, organize a bonfire or a barbeque and enjoy a new experience. Companies such as Big Red Tent will organize your whole trip in places close to Mumbai such as Kolad, Vasind and Karnala. Mumbai is blessed with some amazing places on its outskirts. You have beach towns, hill stations, and wildlife sanctuaries. One of the best things to do on your next birthday is taking a road trip. You can go somewhere close like Lonavala or choose to travel overnight to a place like Saputara. On your next birthday, give the regular home dinner parties a skip and treat your friends to the above mentioned experiences. We are pretty sure you and your buddies will have a fun time enjoying yourselves. If you would like to know some more ideas about how you can celebrate your birthday in Mumbai, shoot us your questions in the comments. We would be to answer them.